TEC conducted underground storage tank (UST) investigations, remediations and replacements at various facilities within the Fairfax County Public School (FCPS) system. Our environmental consulting services to FCPS included interfacing with VDEQ personnel for regulatory compliance, free product removal during construction, building of cut-off trenches to halt the migration of contaminants in sewer line backfill, periodic bio-surfactant injections followed by vacuum truck events extracting contaminated and oily water from monitoring wells, the permitting and removal of backup heating oil tanks, and the installation of a free product removal system. Additionally, TEC provides UST and AST testing services, hydrostatic testing, tank closures and AST installations for generator systems for FCPS to maintain regulatory compliance. TEC provides UST and AST testing services for Georgetown University to maintain regulatory compliance. Tank and hydrostatic testing is performed periodically in accordance with DC and Federal requirements. 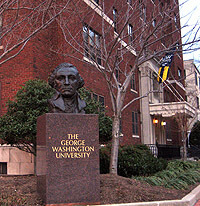 TEC provides UST and AST testing services for George Washington University to maintain regulatory compliance. 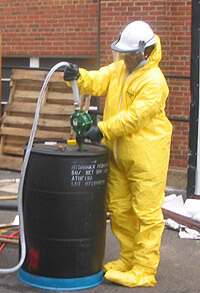 Tank and hydrostatic testing is performed periodically in accordance with DC and Federal requirements. TEC also performs tank closures and AST installations for generator systems.